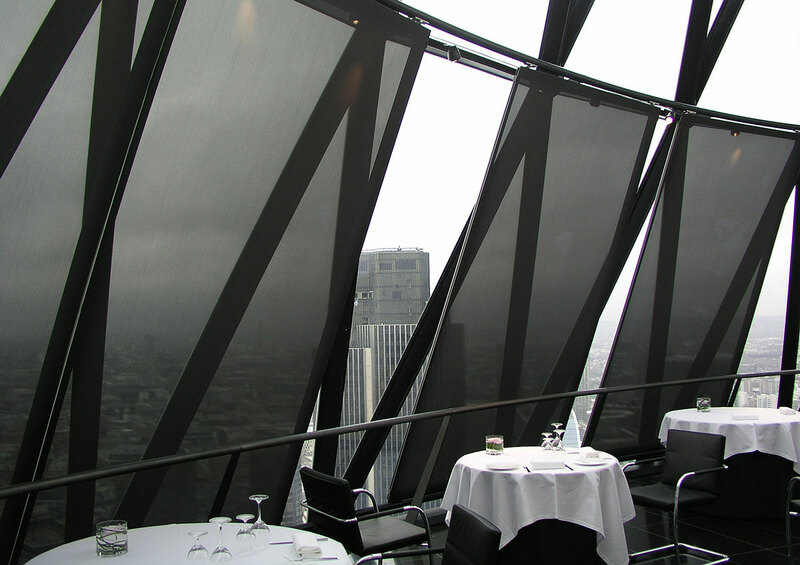 For the restaurant on top of the Gherkin, Swiss Re’s corporate headquarters in London, Art Andersen developed and produced a solar screening system of indoor dynamic, textile-covered aluminium shutter frames. 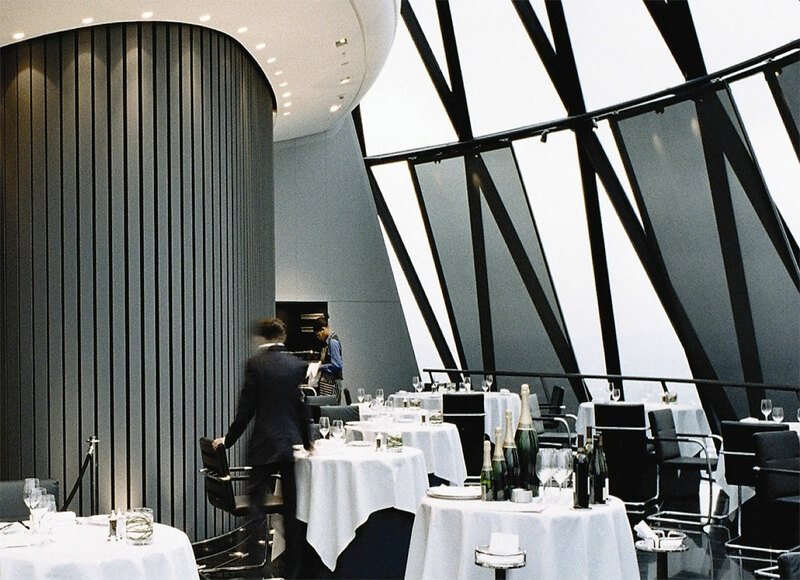 The panels were designed in close collaboration with the architects, Foster + Partners. 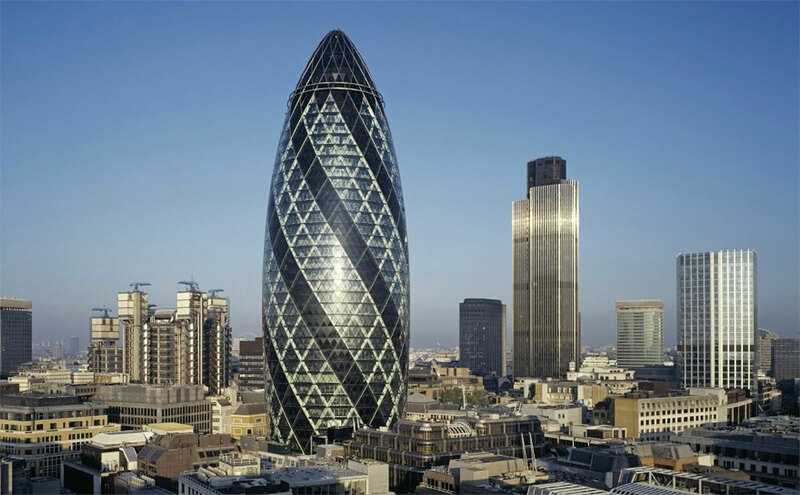 The curved, three-dimensional solar shading system was designed specifically for the gherkin-shaped building. 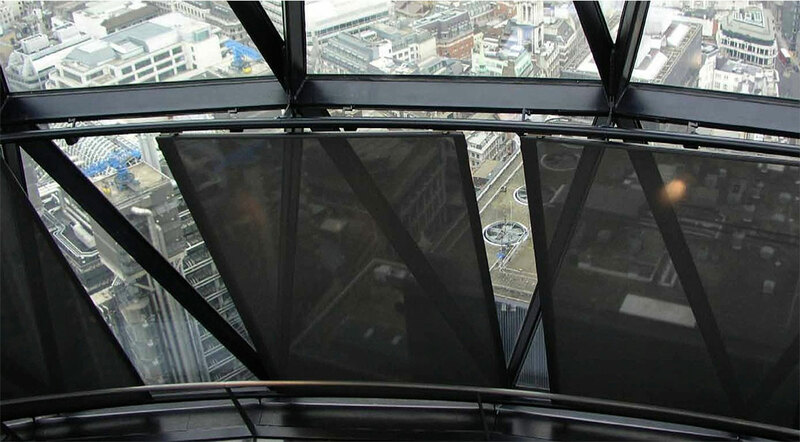 It consists of 12 trapez-shaped textile-covered panels, 2 x 3,5 meters, mounted on an aluminium rail-system, and placed along the inner façade. Consequently the panels give a high control of the daylight intake in this, one of London’s highest situated restaurants. The guests can enjoy the view through the panels even when the panels are closed. 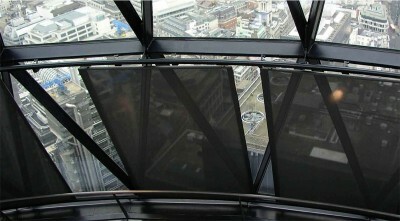 But the panels can also be rolled completely away and parked in a magazine when they are not needed.